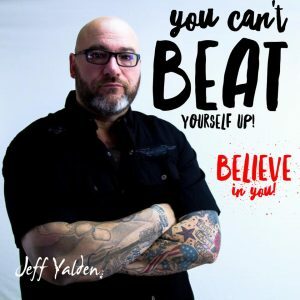 For this, the eighth episode of motivational speaker and Amazon bestselling author Jeff Yalden’s BOOM Podcast, he decided to once again speak from the heart – this time about something that had been weighing on his heart: Dealing with resentment and anger. 1) He is open about his mental health because it is a part of his career and he is very passionate about it. 2) Talking about it helps him to encourage and support others in their journeys in learning to deal with whatever issues they may have. In this episode of The BOOM Podcast, Jeff brings the BOOM to resentment and anger, starting with the BOOM that it’s OK to ask for help. “When you ask for help and you continue to ask the question, the answer should come. But too many people are afraid to admit that they might need help,” he said. This could be asking for help by getting therapy or being prescribed appropriate medication by a physician. When he recorded this podcast episode, Jeff had recently gone through four rough days. “I was feeling resentment and anger in my heart, and that was a feeling that I am not used to, but for whatever reason, we all have these triggers that produce different emotions,” he said. Many of our resentments come from situations in our pasts. Jeff brought up the topic of divorce. If you are no longer in a relationship with someone, you owe nothing to that person. You don’t owe any emotion to that person. “When we carry that emotion forward – when we carry that resentment, it’s because you are dealing with something that is still in the present,” he said. Divorce can be tricky because, even though the old relationship is gone, things like finances, alimony and child support might still be in play – and there is no resolution because a person could be dealing with something that is still in the present. But Yalden said that this is less about them than it is about you. Responsibilities and obligations might factor into this equation and must be dealt with, but some of the resentment can be alleviated by talking a proactive approach to these obligations. Let go of the past and meet your responsibilities today. This is the path to clarity. During those recent rough days, Yalden brought the BOOM and scheduled a counseling appointment. He was very proud of that because it meant that he was doing good work and constantly seeking to be a better person. BOOM is a factor and an effect. In this case, the factor was that Yalden took steps to address his anger and resentment in counseling – and the effect was the reward of clarity from having addressed the issue. 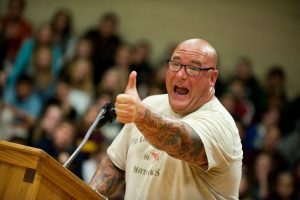 To learn more about Jeff Yalden, click HERE. Listen to episode 8 of The BOOM Podcast HERE. GRAB your copy of BOOM! One Word to Instantly Inspire Action and Deliver Rewards and Positively Affect Your Life Every Day. JOIN the BOOM Nation Facebook community and share your BOOM moments.